Housing Development Land in Adare. Limerick City and County Council plans to sell off a large piece of land in Adare to developers for private housing. Members of the housing policy committee were informed that the land, near Deerpark, is earmarked for the construction of 170 homes. Some of the land will be designated for social housing. It is expected that there will be great interest by developers in this land, as there is huge demand for building sites and houses in and around the village. Local councillor, Richard O’Donoghue has asked that the money raised through the sale of this land should be invested in this region for the improvement of local amenities, such as the provision of a pathway from Adare to the GAA fields outside the village. 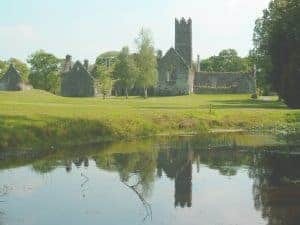 On the matter of housing needs generally in Adare, Councillor Emmet O’Brien called for more affordable sites to be made available to young people wishing to live in Adare.